Scriptum Editions presents another outstanding collection of magnificent images from the Royal Horticultural Society's remarkable archive. 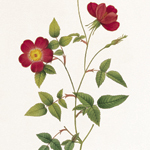 The best of the Lindley Library's thousands of rose images, some rarely seen before, are beautifully produced and enriched with text which delves into the history of this captivating flower. Exploring the links that tie the simple wild nature of roses to the earliest roses of civilisation and exploding a few myths along the way, The Rose tells how the dedication of horticulturists around the world have brought into being the full petalled beauties of today. 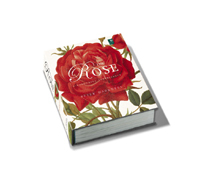 Including drawings by renowned botanical artists, The Rose is the ultimate pictorial history of the most versatile and best-loved flower of all time.